After tasting and doing some intensive research on Wikipedia, I noticed two things: 1st. the cannoli is a Sicilian pastry in the shape of a long cylinder, 2nd. I have terrible film culture, as the cannoli is featured throughout the Godfather films. Yes, I’m ashamed of myself. Okay, let’s try this stuff! The ice cream has a subtle taste, but I must confess I don’t remember what mascarpone tastes like when eaten with a spoon, so I can’t attest to its accuracy. The mascarpone spiral is white-on-white and therefore almost invisible. One can only see the difference when a light is shone directly onto it. 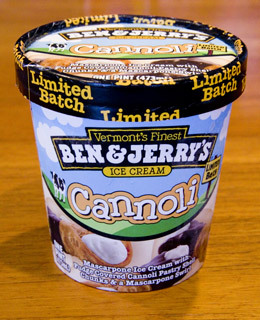 The chunks of cannoli are present in large numbers and have a very strong taste. Chocolate isn’t the only culprit. I recognize the taste of alcohol (but my tastebuds are usually very sensitive), which should be Marsala from the recipes I found online. So, obviously very close to reality there. A good sign. The overall taste is not as strong as with some other flavors and is therefore not my favorite, but it is still worth a try. Now back to the ice cream. The vanilla has a very mild taste. Maybe too mild. Perhaps this is because it is made with vanilla extract rather than vanilla beans themselves. The caramel is delicious. Just a hint of saltiness. Perfect. The potato chips are interesting… Crisp in texture, making it a weird experience. The flavors, however, blend very well together. It’s a real success. Ah j’avoue m’être envoyée quelques pots quand j’étais en Erasmus à Dublin !! 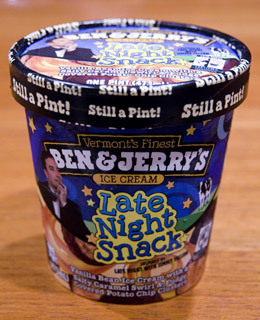 Ben & Jerry = Comfort food ! Bon les “copeaux de pomme de terre recouverts de chocolat” cela m’intrigue pas mal… mais en gros ce sont des chips chocolatées ?! 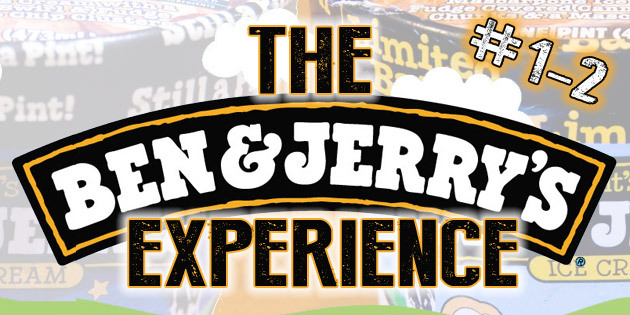 Et sinon tu as testé les Ben & Jerry’s Wich ? P’taing, c’est assez génial comme concept, surtout à l’époque où la malbouffe… “cay le mal !”. Bonne aventure culinaire et fais gaffe à l’indigestion (quand même).